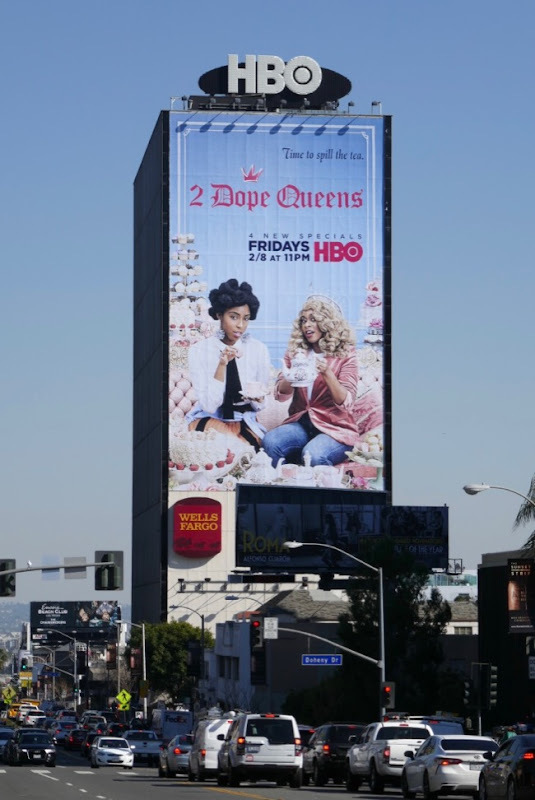 The 2 Dope Queens may have ended their popular podcast with former First Lady Michelle Obama interview last November, but the two ladies are back to spill the tea once more on HBO. 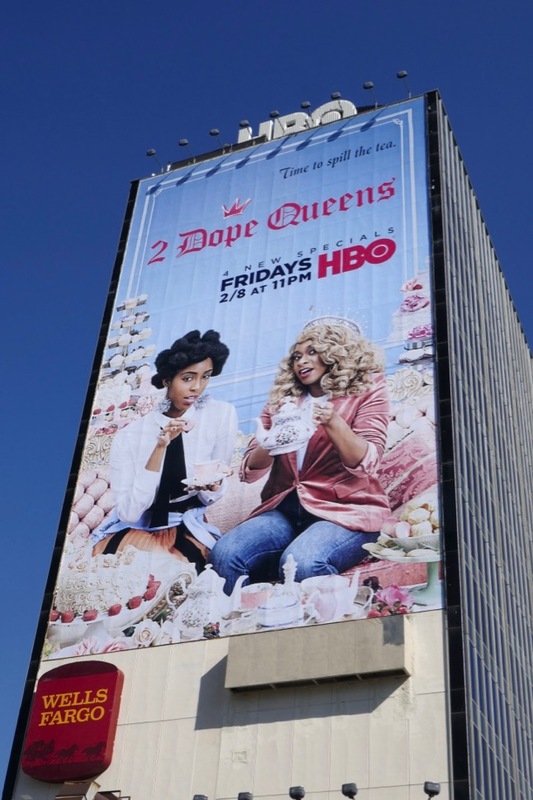 Jessica Williams and Phoebe Robinson return for four more hour-long comedy specials, this time in conversation with guests like Lupita Nyong'o, Daniel Radcliffe, Janet Mock, Lizzo and Keegan Michael-Key on the Kings Theatre stage in Brooklyn. 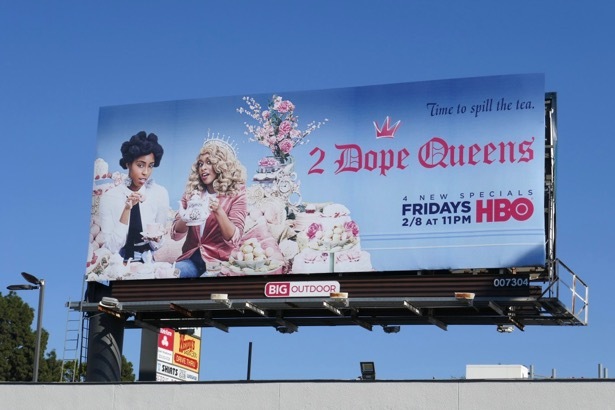 The episodes with their mixture of fun interviews and stand-up will be themed as 'Fashion', 'Nostalgia', 'Music' and 'Regal AF'. 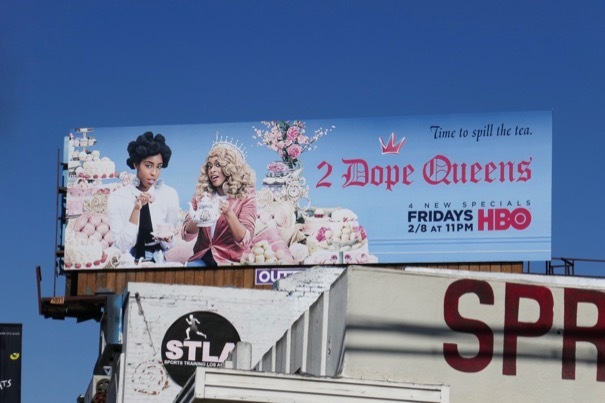 These tea party-themed billboards were photographed along Sunset Boulevard, Fountain Avenue and La Brea Avenue from February 6 to February 8, 2019. 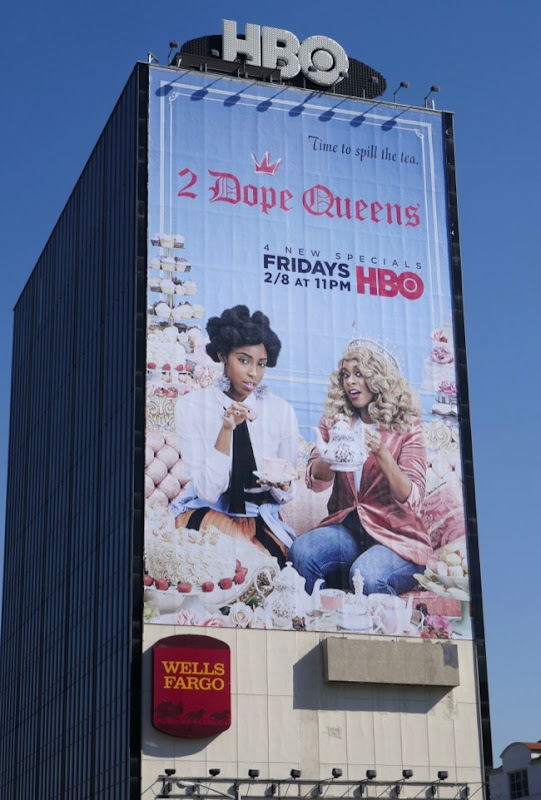 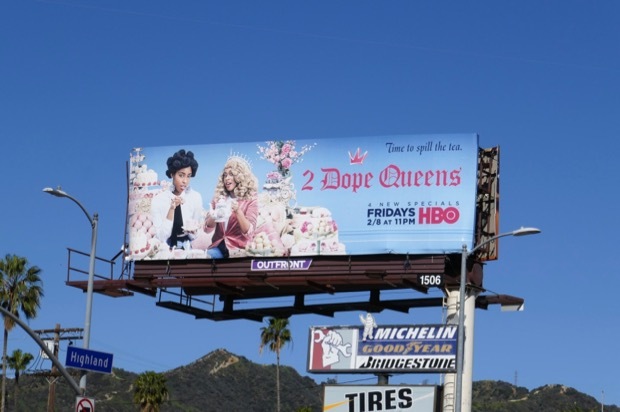 Fans of the ladies can also check out these 2 Dope Queens billboards gracing the city skyline last February. 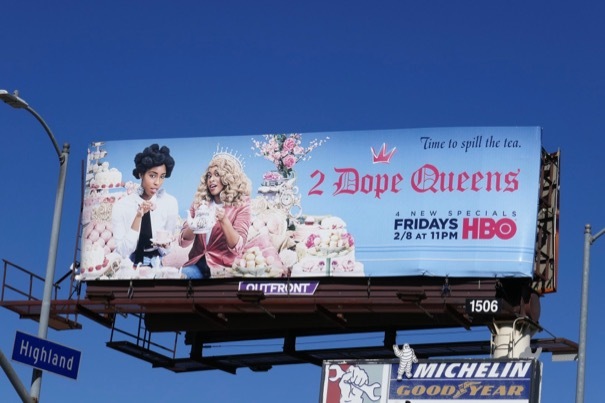 These comedians with their fresh and compelling approach are fast becoming HBO royalty, so long may they reign.